Q. What countries can I receive payments from? Payments can be received from countries in the SEPA Zone only. There are 33 countries within the SEPA Zone, including the 28 EU member states and five other territories. Austria, Belgium, Bulgaria, Croatia, Cyprus, Czech Republic, Denmark, Estonia, Finland, France Germany, Greece, Hungary, Ireland, Italy, Latvia, Lithuania, Luxembourg, Malta, Netherlands, Poland, Portugal, Romania, Slovak Republic, Slovenia, Spain, Sweden and United Kingdom. Note: Payments can only be made and received in euro. Q. What countries can I sent payments to? Currently payments can only be made to accounts held in Irish banks. Q. Can I make a payment (Credit Transfer) from the UK to a Credit Union account? Yes, it is possible to make a payment from the UK to a Credit Union account. The important point for the member to remember is that the payment type must be a ‘SEPA Credit Transfer’ not an ‘International Payment’. The member must stipulate that the payment to be made must be a ‘SEPA Credit Transfer’. The UK bank will convert the sterling debit on the UK account from sterling to euro and send the payment out as a ‘SEPA Credit Transfer’. The payment will be received into the member account in euro. Similarly it is possible to receive pension payments from the UK for the credit of a member account- again the member must stipulate that the payment must be made as a SEPA Credit Transfer. Q.  Can I make a payment (Credit Transfer) from a country outside the SEPA Zone to a Credit Union account? No, countries outside the SEPA Zone are not eligible to make SEPA payments. Q. What would happen if a member attempted to make a payment to a Credit Union member account outside the SEPA Zone? If a member attempts to make a payment from a country outside the SEPA Zone, the originating bank should reject the payment. In some cases, the originating back may attempt to send the payment as an International SWIFT payment – in which case the payment will be returned when it reaches the destination country. It may take some days for the payment to be returned. Q. Can I make a payment (Credit Transfer) to a country outside Ireland. Currently no. This payment will be rejected immediately by CUSOP as the BIC and IBAN will not be reachable. Q. What are the cut-off times for sending outgoing payments from Credit Unions? CUSOP has 2 outgoing file transfer cut-offs each working day. Note 1: The ITSP may require to close out your files in advance of the CUSOP cut-off to allow time for file preparation and transmission. Note 2: Posting to creditor account happens shortly after delivery to other Bank, but this time cannot be guaranteed.